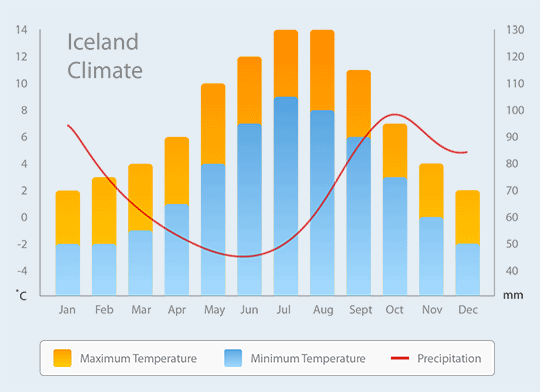 The climate in Iceland is milder than many people expect. 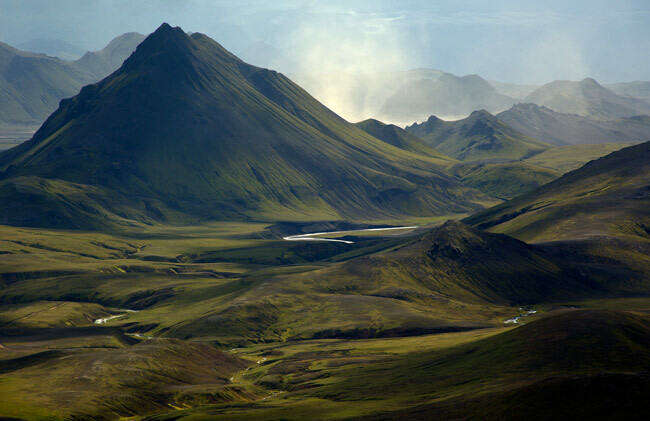 Thanks to the Gulf Stream Iceland enjoys a cool temperate ocean climate with cool summers and relatively mild winters that belie its Northern location. One consequence of this is that mild Atlantic air comes into contact with colder Arctic air resulting in a climate that is characterized by highly changeable and stormy weather. Furthermore this leads to greater rainfall in the southern and western part than in the northern part of the island. The summer tourist season is from early May to late September. 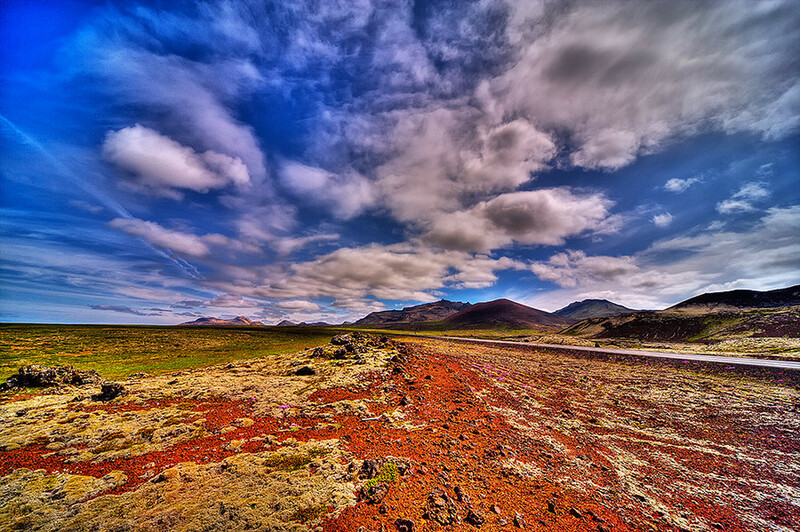 During the first half of this period the sun stays above the horizon for almost 24 hours and the interplay of light and shadows on mountains, lava fields and glaciers produces an ever changing landscape. However, even during the height of summer the sky can often be cloudy or overcast and the sun does not warm the air much. Daytime temperatures are usually around 16-18 C and it can feel rather cool (“refreshing” is the local euphemism). It feels even cooler as the thermometer dips further in the evening. During summertime we recommend that you bring a windbreaker, rainwear, a thick pullover (wool or fleece) and sturdy walking shoes. Travelers who are camping or heading into the interior will need warm underwear and socks, rubber boots and a warm sleeping bag. Long dark nights and frequent storms dominate the winter period. 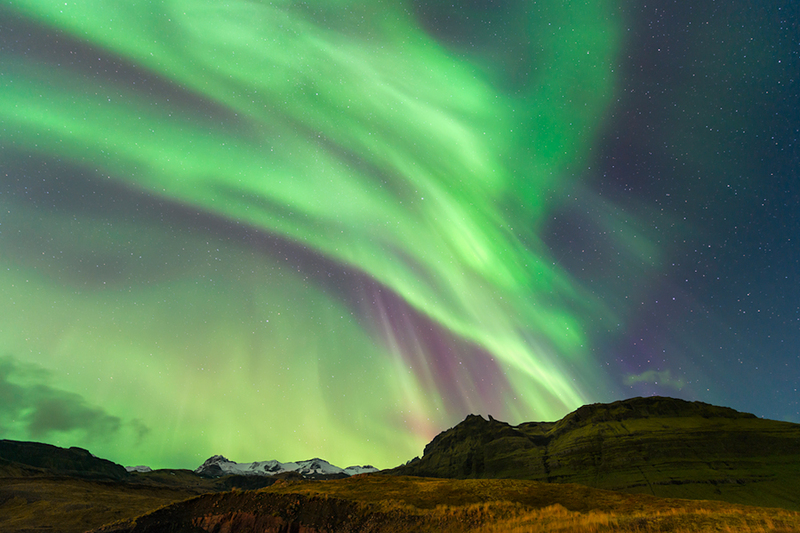 However, the silence of the frozen expanse and the dance of the Aurora Borealis on a clear night sky draws an increasing number of travelers who want to experience this phenomenon. During wintertime you should bring warm clothing, warm coat, mittens etc. 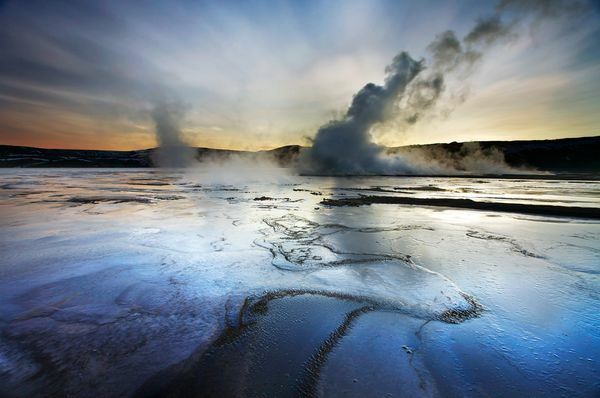 Iceland has many swimming pools that are geothermally heated. So whatever time of year you come you should always bring a swim suit. For further weather information. From mid-May to mid-August the sun only sets for only a few hours each day, and it is effectively 24 hour daylight. This phenomenon creates a sort of lingering twilight into the early hours. In contrast, there are only around 4-5 hours of effective daylight during mid-winter. Thanks to Iceland´s plentiful supply of renewable energies the streets and buildings are both well-lit and heated during the winter darkness.